So your dog chew anything and everything regardless of whatever it is, right? Remember, it’s in the nature of dogs, and they use their mouth to explore physical things just like we humans use our hands, moreover, chewing helps puppies develop their teeth. 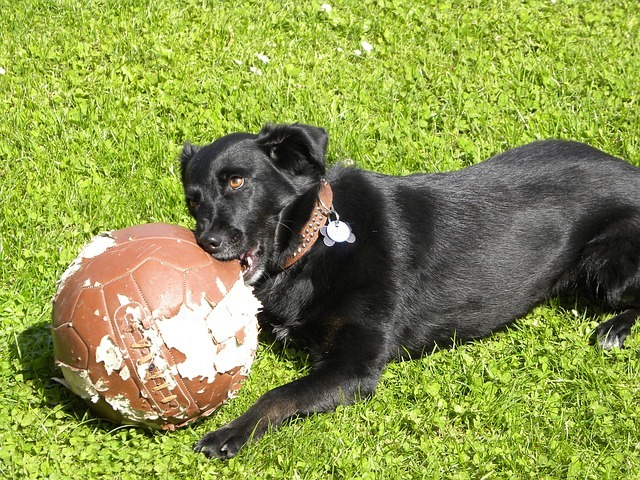 It’s totally normal if your dog chews his chew toys or other items you have dedicated to him, but chewing any other things like cushions, furniture, shoes, or even tearing up papers is destructive behavior, and is usually known as destructive chewing. A couple of days ago I was reading a post on the social media giant Facebook where the Facebook user shared a photograph of her P.HD degree which was teared up by her dog, and she could do nothing about it. So, it is really very important to take care of this issue or engage your puppy in some other activities. There may be different reasons behind a dog’s destructive behavior and the most common of them are mentioned below. Boredom: Usually when you leave your dog for a long time and he has nothing to do, he gets bored very easily. So, they chew anything they find, especially the items that have your smell because they can resist it. Lack of Exercise: Your pup is like a small powerhouse and he needs regular exercise to calm himself. Moreover, exercise helps them produce endorphins, the chemicals that increase calmness and euphoria. Separation Anxiety: Separation Anxiety is another common disorder among the dogs who become destructive when left alone. They either chew everything they find or they may dig, howl, and even try to escape. There are several ways and tools to keep them from destructive chewing. Let’s explore them. Exercise – Almost all the dog breeds need exercise regularly. It depends upon their size, age, breed, and overall health. It’s really important for them to burn their calories and energy otherwise they may become frustrated and unhealthy. Vets suggest that a dog needs 30 minutes to 2 hours of exercise daily. Puppy-proof & Dog-proof your home – Try to keep all the important things out of their reach like put your clothes in the cupboard and shoes in the closet. Moreover, everything else such as glasses, your kids’ items, mobile, and laptop etc should also be kept out of their reach. See your vet – If you feel that the condition is severe and is usually done when you are not home, it may be due to separation anxiety disorder. Try to see your vet at earliest to treat this disorder timely. Well, there are some dog breeds that love their owners from the core of their hearts and they are very much prone to develop separation anxiety. Some of these dog breeds are Labrador Retriever, German Shepherd, Bichon Frise, and Groodle. So, these were the major reasons for your dog’s destructive chewing and some of the best solutions to get treat it. If you still have any question or confusion, feel free to ask through the comments form below. My Blackie used to chew everything when he was about 5-6 months but thanks to my vet who helped us to take care of this issue. Now he doesn’t chew my valuables.